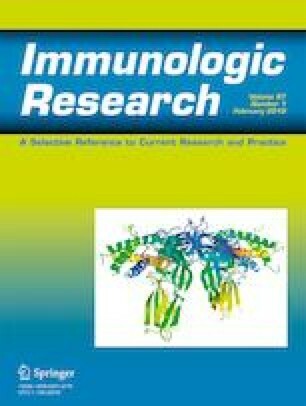 The impairment of regulatory T cells (Tregs) is a characteristic feature of autoimmune hepatitis (AIH), and the degradation of tryptophan (Trp) to kynurenine (Kyn), by gamma interferon-induced indoleamine-2,3-dioxygenase-1 (IDO-1), is a central metabolomics check point in the differentiation of Tregs. For this reason, we investigate whether or not Kyn and IDO activity is potentially useful biomarkers in pediatric AIH. Between January 2016 and January 2017, children of AIH type-1 (AIH-1, n = 37), AIH type-2 with liver kidney microsome-1 autoantibodies (AIH-2-LKM-1, n = 8), and autoantibody-negative Wilsons Disease (WD, n = 8) and alpha-1 anti-trypsin deficiency (AATD, n = 10), were enrolled in a cross-sectional survey of Kyn and Trp levels and Kyn/Trp ratios (IDO activity) by HPLC, and neopterin levels by ELISA. The mean Kyn and mean Kyn/Trp ratios of AIH-1 with smooth muscle antigen (SMA) 1.85 μM and 27 μmole/mmole, and AIH-2-LKM-1; 1.7 μM and 28.6 μmole/mmole were lower than that of the WD; 2.2 μM p = 0.03 and 33 μmole/mmole p = 0.02 and of AATD; 2.3 μM, p = 0.02 and 55 μM, p = 0.001. Kyn/Trp ratios of AIH relapse; 23.6 μmole/mmole were lower than Kyn/Trp ratios of AIH remission; 27.6 μmole/mmole (p < 0.05). The stage of liver disease and grade of liver biopsies in AIH-1 patients negatively correlated with the Kyn/Trp ratios. The serum Kyn levels and Kyn/Trp ratio of AIH patients, within or below the normal range, indicate a trend of IDO activity lower than non-autoimmune WD or AATD. Prospective monitoring of serum tryptophan metabolomics in larger cohorts of pediatric AIH patients is required to confirm the apparent paradigm of weak IDO activity contributing to the Treg deficit and pathogenesis of pediatric AIH. We thank all the patients who kindly consented to participate in this study and the cooperation of nursing staff for the collection and storage of serum. The research expenses were incurred in part by SeraDiaLogistics and EB Group Sp. All material support is identified in the acknowledgements section. The study protocol conforms to the ethical guidelines of the 1975 Declaration of Helsinki as reflected in a priori approval by Ethics Committee of the Children’s Memorial Health Institute no 192/KBE/2015 and 231/KBE/2015.